There are hundreds of amazing tales and miracles in the Bible, whether you look at the Old or the New Testament. The majority of Westerners are aware of many of these Bible miracles regardless of their religious upbringing. Perhaps the most popular of all the stories of miracle in Bible are those concerning Jesus, particularly among believers. The following list shows ten of the most interesting and amazing miracles in the Bible concerning Jesus. The Legion was one man who was possessed by a demon and thought there were many people or things within him. The Legion was terrified of Jesus, who told those people within Legion to leave him alone and gave them the permission to enter a field with a herd of pigs. However, the herd went insane, swarming off the hillside and drowning in the sea. This demon-possessed man also ran wild through the hills, broke chains, and cut himself using stone until Jesus exorcised him. The thing that Jesus walked on water is perhaps one of the most well-known miracles in the Bible and it showed his Disciples are able to do anything when they believe in themselves, just like walking on water to him. During one event, Jesus walked across the Sea of Galilee’s northern tip, a distance of around three miles, to meet his Disciples in their boat before they reached the opposite shore. The miracle of Jesus feeding five thousand people appears in all four of the Gospels. In Matthew 14:13 - 21, Jesus uses five loaves of bread and two fish to feed 5,000 men, plus their uncounted women and children, with his Disciples still able to collect 12 baskets of leftovers. This is repeated in Matthew and Mark, when Jesus uses seven loaves and a few fish to feed 4,000 men (plus women and children) and has 7 baskets of leftovers. Four days after Lazarus died in Bethany, to the east of Jerusalem, Jesus arrived. 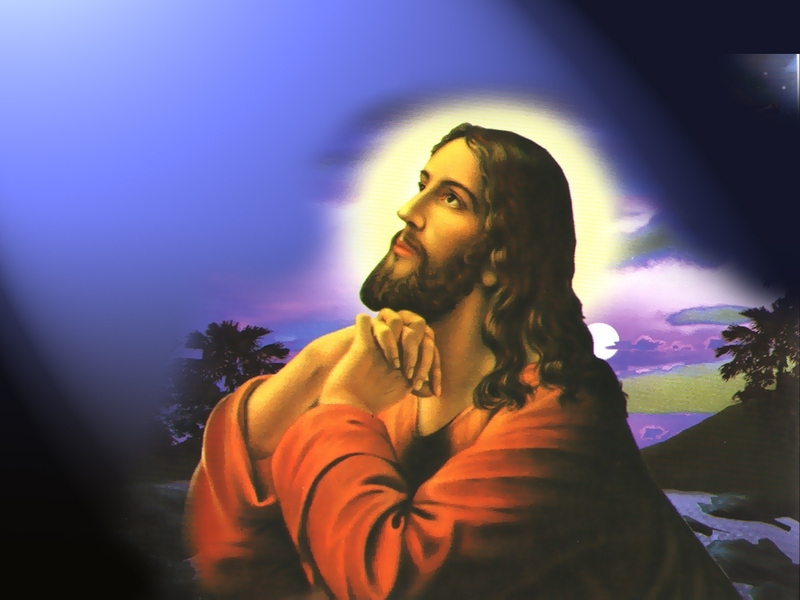 Jesus begins to cry, most likely because of the crowd’s lack of faith in him. Lazarus’s sister, Mary, even tells Jesus that Lazarus will have a bad smell since he has been dead for several days, but Jesus still has them open the tomb. When Jesus commands Lazarus to leave the tomb, he does, dressed in burial linens. Even non-believers may have the impressiveness of the Resurrection, probably the most important miracle in the Bible. In the Bible, only two people do not experience death; Enoch walks with God and Elijah enters Heaven in a whirlwind and fiery chariot. Jesus, unlike them, does die, but he is the only Biblical person to revive himself. He was dead for three days, at which point his spirit reentered his body and he simply got up. There are several theories as to what Jesus did while he was dead, with some saying that he preached people in the Hell who died without salvation. While attending a wedding banquet in Cana, Galilee, within Israel, Jesus turned water into wine. Here is the story goes. Mary, Jesus’s mother, and his Disciples attended the wedding as guests. At one point, the wine ran out and due to his mother’s urging, Jesus asked to have six water pots completely filled with water and it miraculously became wine. The banquet master said something to the effect of the bridegroom having saved the best wine for last and others say that this was one of the first signs through which Jesus revealed his glory. This is one of the Bible miracles that appears multiple times, in Luke 8:22 - 25, Mark 4:35 - 41, and Matthew 8:23 - 27. Jesus and his Disciples entered a boat so they could cross the Sea of Galilee. There was a large windstorm that caused high waves, which entered the boat, causing it to get wet. The Disciples woke Jesus from his sleep on a cushion by the stern. He gave the wind a rebuke and said “Peace! Be still!” to the sea. The wind stopped and the sea was calm. The Disciples were in awe. Throughout the Bible, Jesus healed many sick people, including those who were disabled, blind, leprous, or suffering from other sickness and conditions. These have been described in Matthews 8:16, Luke 4:40-41, and Mark 1:32. He was able to heal these people by laying his hands on them, casting the demon out of people. In Matthew 17:24 - 27, the tax collectors in Capernaum asked Peter if his teacher pays the Temple tax. 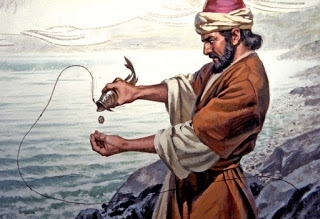 Later, Jesus mentioned the Temple tax before Peter asked about it and told him to go fishing in the sea. He said when he opened the mouth of the first fish he caught, he would find a coin that he should give the tax collectors as their tax.